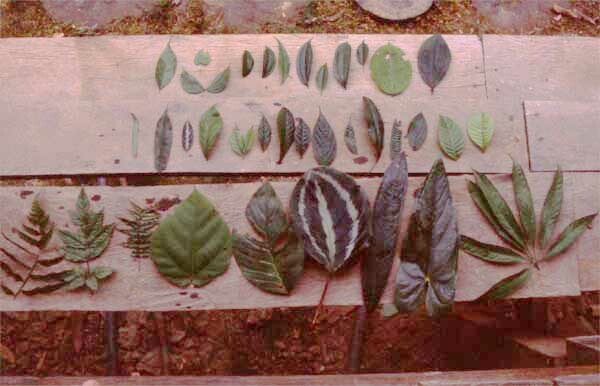 A selection of leaves randomly collected on a short walk in the Ecuadorian rain forest hints at the tremendous diversity of plant life. Plant diversity is at the root (excuse the pun!) of the rainforest's biodiversity, which is higher than anywhere else on Earth: from the Amazon about 50,000 woody plant species have been describeda fifth of the world's total flora. How many different leaves can you count in the picture?